Dr. Jaeger is proud to provide conventional orthodontics for families and children. Conventional braces utilize wires and brackets to gently move your teeth into the correct position. Conventional braces have been shown to be highly effective in correcting orthodontic issues like overcrowding. Learn more about the clear way to straighten teeth without the wires or brackets of traditional braces. Invisalign and Invisalign Teen offer patients a flexible option for straightening teeth that is not only more discreet, but also more hygienic. Invisalign is the clear alternative to braces. At Jaeger Orthodontics, we are always accepting new patients! 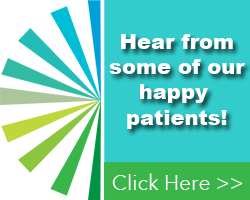 We are excited to meet you and to assist you in getting the smile that you've always dreamed of having. Our appointment times are flexible and we are conveniently located in Lebanon. We look forward to seeing you soon! Dr. Thomas Jaeger is dedicated to providing exceptional patient care and service to each of his patients. Whether you're 7 or 77, we know that a beautiful smile can change your life and we welcome patients of all ages for orthodontic care. We are proud to offer the latest advances in orthodontic technology and techniques and know that we can help you achieve the smile you've always dreamed of. Call our office today to make an appointment for a consultation. Or click here to make an appointment online! Dr. Jaeger is proud to offer conventional braces to families and children in the Lebanon, NJ area. Unlike other methods of straightening teeth, almost everyone is a candidate for conventional braces. They have been shown to be highly effective in straightening teeth with orthodontic issues such as overcrowding. This time tested method for creating beautiful smiles is safe and effective. Learn more about Conventional Braces by clicking here. 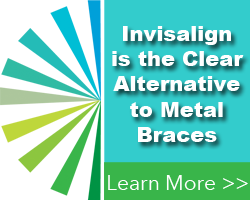 Invisalign is the discreet, comfortable alternative to traditional metal braces. A system of clear aligner trays gently, gradually moves your teeth into their proper alignment. The aligner trays can be removed for eating and brushing, making them a hygienic option as well as a convenient one. And because the aligner trays are virtually invisible, no one need know that you are improving your smile! If you wish to avoid the embarrassment of metal brackets and wires, Invisalign may be an option for you! If you've been dreaming of a new smile, it's time to call Jaeger Orthodontics and find out how we can assist you in getting a smile you can be proud of. Dr. Jaeger offers ceramic braces, a discreet and aesthetically pleasing type of braces. Ceramic braces use ceramic brackets that are tooth colored, so they are not immediately noticeable. While they work just like traditional braces, ceramic braces offer the patient an option that is less noticeable. Ceramic braces are a great alternative for older patients in the workforce, or anyone who doesn't want braces to be the first thing people see when they look at you. Learn more about Ceramic Braces by clicking here.